I want beds made of throw pillows and forts make of fleece! 1. This bag chair that you can plop down in for hours on end. Available on Amazon starting at $25. Available in a variety of color and material options. 2. This coffee table book that'll also give you tips on how make your home the coziest of places. 3. 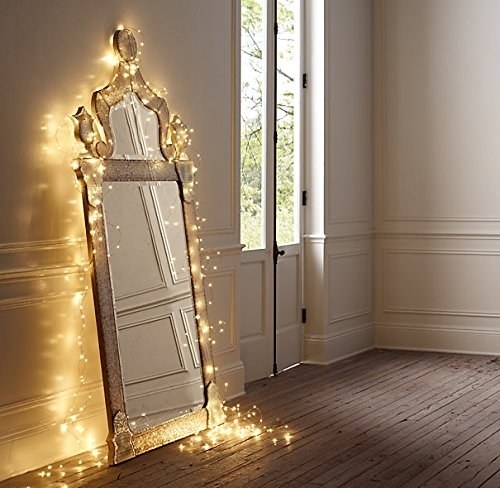 These twinkly lights that aren't just for the holidays. Get them on Amazon starting at $17. Available in a variety of colors and lengths. 4. This pillow that also provides you with the forecast. Get it at TJ Maxx for $25. 5. These furry stools that you rest your feet on, or just hug tight. Get it at Urban Outfitters starting at $139. 6. This pouf that's meant for weddings but is actually just a plush place to sit. Get it at TJ Maxx for $80. 7. 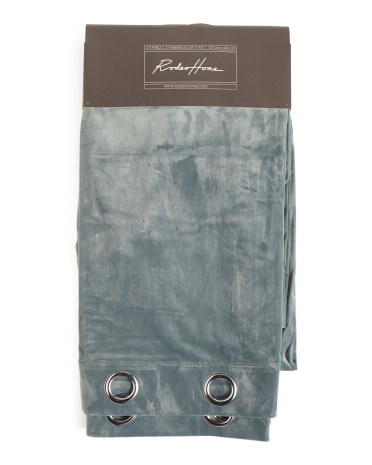 This towel set that's made of luxe AF Egyptian cotton. Get the 10 piece set on Wayfair for $35. 8. 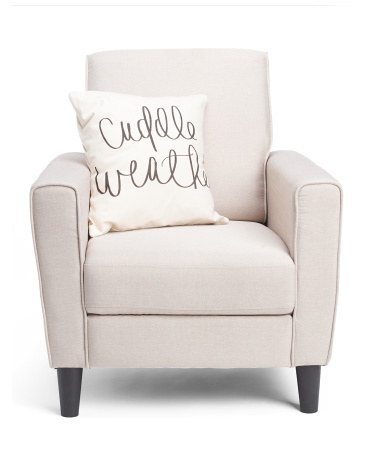 This throw blanket that's so soft you'll think you're being hugged by a marshmallow. Get it at TJ Maxx for $20. 9. 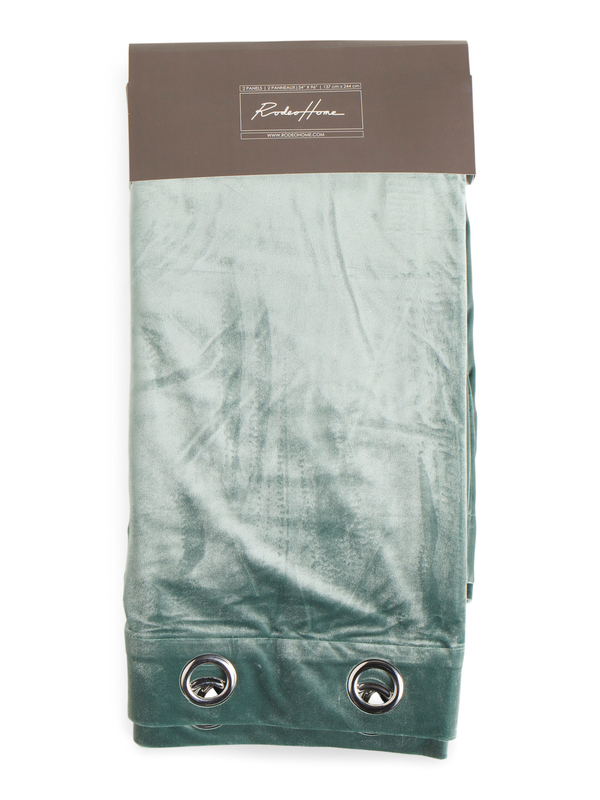 These velvet curtains so that even your windows can be comfy, cozy. Get them at TJ Maxx for $40. 10. This portrait of Dumbledore because nothing says comfort more than the protection of the best fictional headmaster ever. Get it on Amazon starting at $12. Available in 8"x10", 11"x14", and 13"x19" options. 11. This throw blanket that'll smother you in coziness. Get it at Target for $30. 12. These candles that'll make your home smell like your favorite coffee shop. Get the set of three on Amazon for $29. 13. This knitted pouf that looks like your grandma might have made it just for you. Get it on Amazon for $60. Available in 13 color varieties. 14. 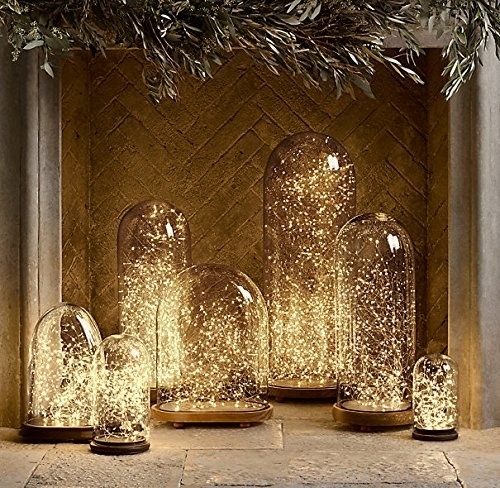 This lantern that'll literally help light up your life. Get it at ModCloth for $24. 15. These velvet pillows so you can lie in luxury. Available in a variety of color options. 16. This elephant pillow that'll make cuddly memories that your baby will never forget. 17. This shag carpet that'll make for the most comfortable steps you've ever taken. Get it on Amazon for $142. Available in a variety of color and size options. 18. This cable-knit blanket that's lined with the most comfy Sherpa lining you've ever felt. Get it on Amazon for $33. 19. This ottoman that you'll use to begin your empire. Get it at TJ Maxx for $50. 20. This diffuser that'll make your home smell delightful AF. Get it on Amazon for $37. 21. This plush toy that'll make it a little more comfortable to hug your makeup. 22. 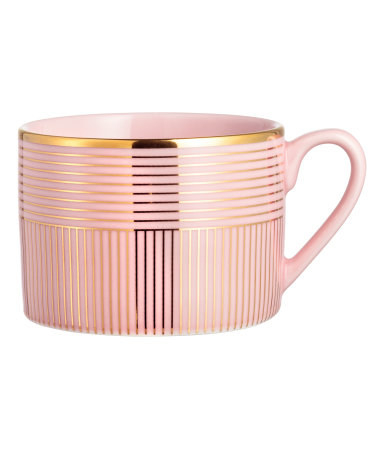 This mug that'll make your warm beverages just that much cuter. Get it at H&M for $6. Also available in white and green. Find the matching plate here. 23. This candle that's looking pretty good. 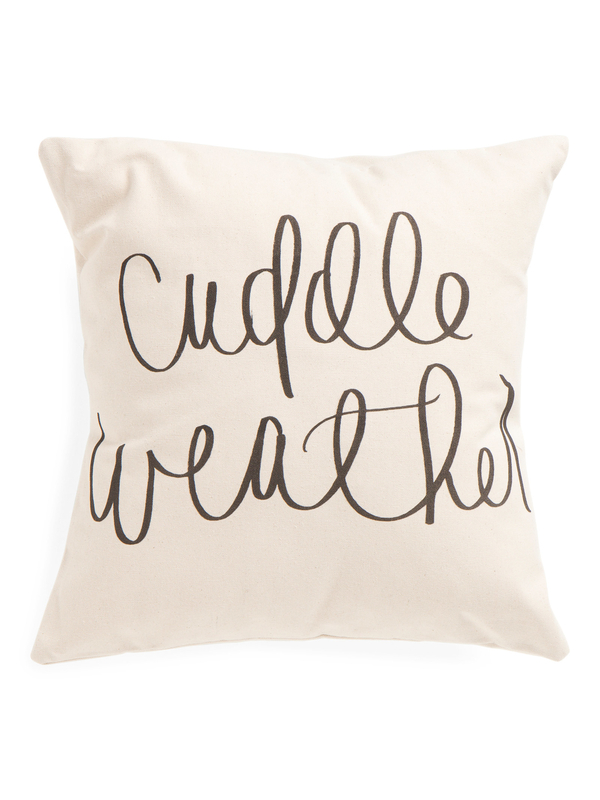 Get it from Typo by Cotton:On for $10. 24. 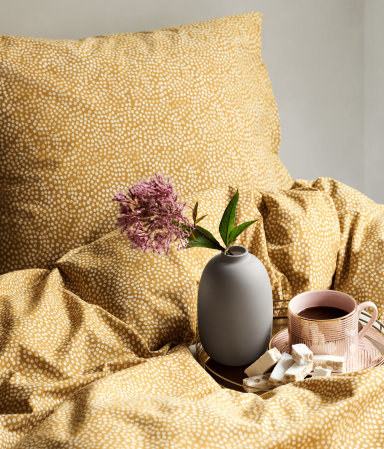 This quilt set that'll keep you as snug as a bug in bed. Get the set on Amazon starting at $50. Available for Twin, Full/Queen, and King size beds in a variety of color and print options. 25. This lamp that'll set the perfect mood lighting for a romantic night with your Netflix subscription. Get it at TJ Maxx for $30. 26. This bathroom mat that'll have you walking out of the shower in serene comfort. Get it on Amazon starting at $30. Available in pink, khaki, and light green. 27. 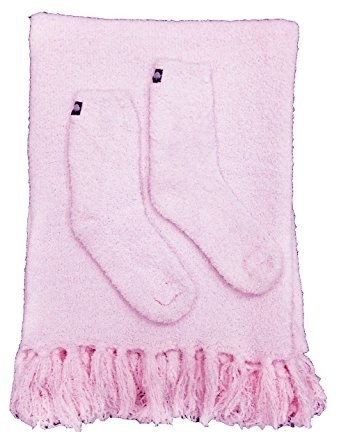 This throw blanket that comes with matching socks so that you're cozy from your head down to your toes. Get them on Amazon for $24. Also available in red, gray, black, and cream. 28. This canopy that'll let you make a classy, grown-up version of a fort. Get it on Amazon for $19. 29. This throw pillow that's faux fur but not faux comfortable. 30. 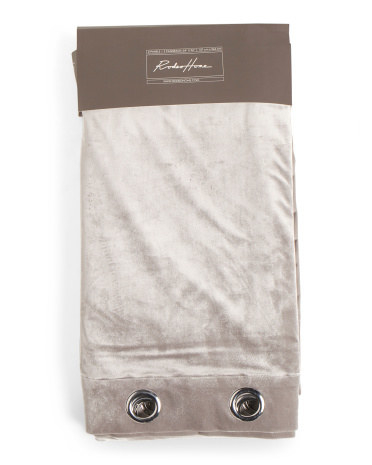 This cotton runner that'll make running down your hallway a little less slippery. Get it at H&M for $50. 31. This portable heater so that you can cuddle up next to the pretend fire. Get it on Amazon for $100.